Danny Gokey’s story is one for the ages. If you don’t believe me, read the introductions of our reviews of his albums Hope In Front Of Me, Rise, and Tell Your Heart To Beat Again EP (or even the conclusions, or the whole reviews! ); as the in depth description on what Danny went through is covered much more in depth over there that it doesn’t need to be repeated here. Although if you’re the lazy type, I’ll just recap- Danny auditioned for American Idol way back in 2008 but a couple of weeks before he was supposed to go in to sing in front of the judges, his first wife Sophia passed away. Now Danny didn’t win the competition- he was placed third, however his story of loss, and subsequent determination to create uplifting, hopeful and impacting music to honour his wife; has resonated with people all over the globe; and has given him a platform to share the good news of Jesus Christ to as many people as he can. The hit single “Hope In Front Of Me” in 2014 started his meteoric rise to popularity in both Christian and mainstream circles (as his first album in 2010 was an unfortunate failed attempt at breaking into the country genre! ); yet fast forward to now, and we see the release of another smash hit (or at least a potential smash hit!). “Haven’t Seen It Yet” is Danny’s first release on Sparrow Records- and judging from the lyrical content on waiting for God’s promises and believing that everything will come together in His timing; it might be the case that this upcoming album to be released at a later date in 2019, will be Danny’s most relevant and strongest musically and lyrically to date. With an electronic undertone and a pop atmosphere, Danny doesn’t sugarcoat anything from the outset. Even if we have been asking and asking God for Him to move in our lives and the lives of others, and we seemingly have received no answers for a long while; Danny passionately relays in this song that perhaps God is moving, yet we haven’t noticed it yet. Urging us to ‘…don’t ever lose hope, hold on and believe…you’re closer than you think you are, only moments from the break of dawn, all His promises are just up ahead…’, we are invited to go deeper with God, and ask Him whether He has already revealed Himself to us. Chances are that He has, and if so, how can we really open our eyes to see the effects of his presence in our lives and the lives of those around us? Thought provoking and inspiring at the same time, “Haven’t Seen It Yet” is sure to be included on WOW Hits 2020, and is also sure to provide listeners with hope, that the God of all the universe loves each of us so immensely and so intimately that He is working in each of our lives, all the time. While not necessarily as hyped up as Switchfoot’s “Native Tongue” single which dropped in October last year, nor as worshipful as Crowder’s radio hit “Red Letters”; Danny Gokey’s new single is nevertheless great for listeners who are longing for a theme of hope in their lives and reassurance that Jesus is with us right at this moment- and even though we can’t see the end of the tunnel, Jesus is here with us, and we just haven’t noticed it yet. With my assertion that Danny’s yet to be titled Sparrow Records’ debut later on this year is an album that’s certain to be a best seller in the CCM and hopefully mainstream markets as well; “Haven’t Seen It Yet” is sure to be on my iTunes playlist until such a date…and then beyond as well! So what are you waiting for? Let’s make sure we truly ‘see’ this song! 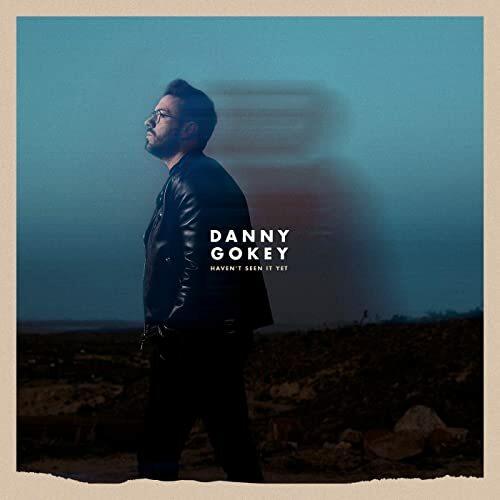 Well done Danny for such a poignant, powerful and prolific melody, and one of my favourite CCM male vocalists since Josh Wilson, Brandon Heath and Matthew West. Previous PostSteve Grace- EternityNext PostFLASHBACK FRIDAYS: WEEK 33 (Hope In Front Of Me by Danny Gokey)- In the direst of situations, is there really hope? What’s the point about New Year’s resolutions? i honestly like this better than native tongue…. Native Tongue the song or Native Tongue the album? Yeah Danny’s song is very good, and I am excited fir his new album, but Native Tongue (the album) from Switchfoot is good too. Tons of imagery and takes a while to catch onto the meaning of the songs but it’s vintage Switchfoot at their best!